Combining jazz and classical is not new – efforts from Gershwin, Milhaud, Mingus, and Ellington (and more recently, Anthony Braxton) are well-documented. But there is a new generation of composer-performers that move between these genres with fluidity and ease. To them, there is no need to blur the lines between styles because these lines do not exist. Cellist Christopher Hoffman is member of this cadre. From the remarkably fertile New York creative music scene, he teams up with Tony Malaby on sax, Ben Gerstein on trombone, Kris Davis on piano, and Craig Weinrib on drums, all of whom are familiar names. But who is Hoffman? A little research pegs him as a member of Henry Threadgill‘s band, having played on Old Locks and Irregular Verbs as well as In for a Penny, in for a Pound. Threadgill is an example of someone who synthesizes approaches that others might find incongruent. That philosophy seems to have rubbed off on Hoffman. 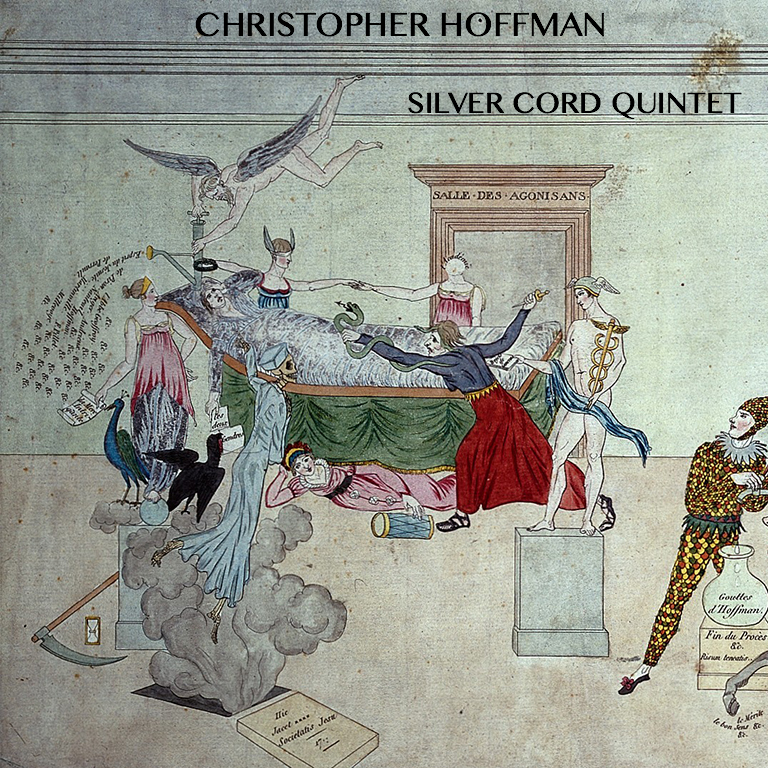 Consisting of nine short tracks, with a total running length of around 40 minutes, the Silver Cord Quintet makes concise, powerful statements. A particular focus is on dueling lead instruments – combinations of sax, trombone, and cello pair up for fiery interactions over ever-shifting tectonic rhythms provided by the piano and drums. But even when a single instrument takes the lead, the melodies are non-linear, if not discordant at times. There is a fair amount of scrobbling and an extended technique or two throughout. A representative track includes Best at Your Worst, which starts with Malaby soloing over dense and staggered accompaniment, before giving the others their turns. Descenders is similarly characteristic for the group, as the horns play off of each other until Hoffman contributes to the foreground fray, with the rhythms shifting subtlety throughout. The title track is less than two minutes long, and appears to be an experimental take on orchestral music, with each player contributing to a theme before heading off in a free-improv direction. Complex and polyphonic, this is modern music that nods to the past, but is firmly eyeing the future. Hoffman is impressive on his debut as a leader. Somehow, he manages to contribute a unique, fresh voice in a field that is crowded with excellent recordings. Highly recommended.